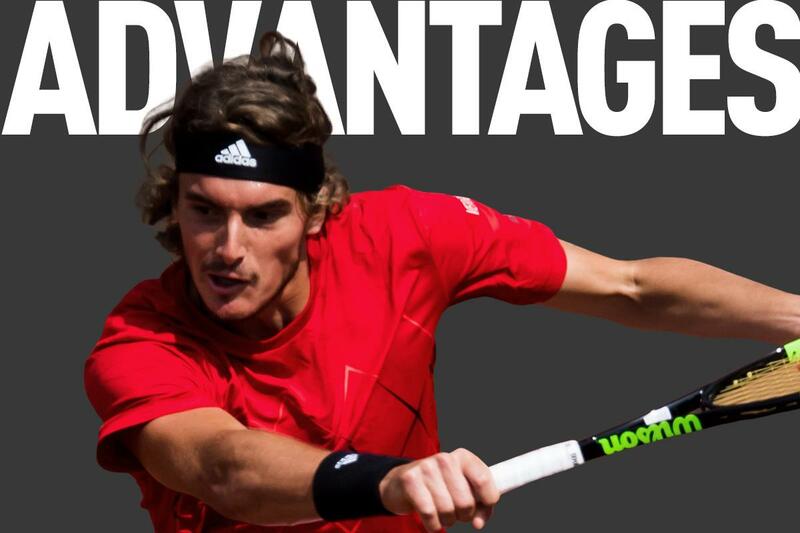 Stefanos Tsitsipas, one of the greatest talents on the ATP World Tour, will be in action in the ABN AMRO World Tennis Tournament in 2019. The 20-year-old Greek takes the tennis world by storm this year, which brought him to the 16th place of the ATP Rankings. Tsitsipas takes part in Rotterdam for the second time. The 46th ABN AMRO World Tennis Tournament will be held from 9 to 17 February 2019. Stefanos Tsitsipas is considered as one of the greatest talents. Tournament Director Richard Krajicek: "His development this year is impressive. A year ago, he entered the top 100 for the first time and in no time he went on to the top-20. Now he has won his first ATP title and is the topfavorite for the ATP #NextGen Finals. Moreover, his playing style is a joy to watch. With spectacular dives and offensive play, he often manages to get the audience behind him." Tsitsipas has a very strong year. In the ATP 1000 tournament in Canada, the Rogers Cup, he reached the final, just as in Barcelona. In Canada, he defeated established players such as Thiem, Djokovic, Zverev and Anderson. In the final Rafael Nadal proved to be stronger. The same scenario happend in Barcelona, where Nadal also won the final. It brought him to the 16th position on the ATP Rankings, making him the youngest player in the top-20. Stefanos Tsitsipas is part of the #NextGen players of the ATP. These are the players of 21 years or younger who are in the top 200 of the world. They are the future stars of international tennis. Next week the best 8 players in this category will play the #NextGen finals in Milan. Tsitsipas is the top seeded player for the tournament. Krajicek: "If I am not mistaking, Stefanos is the absolute title favorite for the #NextGen Finals in Milan. It would be a fitting title for him. I wonder what steps he will take in 2019. If he keeps on developing at this pace, he will get to the top-10 next year." Tsitsipas played once in the main draw in Rotterdam Ahoy. In 2017 he made his debut with a wildcard. He lost the first round against Jo-Wilfried Tsonga. Earlier this year, former winner Klizan was too strong during the qualifying tournament. Stefanos Tsitsipas is the sixth player that has been announced for the 46th ABN AMRO World Tennis Tournament. Other players participating are Marin Cilic, Grigor Dimitrov, Nick Kyrgios, Kei Nishikori and Hyeon Chung.